Reviews of My Pancakes Taste Different Today! Awwwwww....schucks! Thanks to Midwest Book Review for the praise of My Pancakes Taste Different Today! "My Pancakes Taste Different Today!" is an original and delightful picture book story that is ideal for children ages 3 to 8. 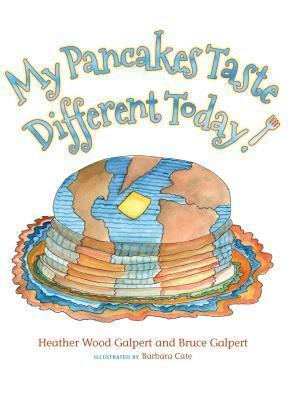 Wonderfully 'kid friendly', "My Pancakes Taste Different Today!" is certain to be an enduringly popular addition to preschool, elementary school, and community library collections. For personal reading lists it should be noted for students and their families, Preschool through 3rd Grade, that "My Pancakes Taste Different Today!" is also available in a Kindle format." Free books at Goodreads Giveaway! Giveaway ends October 22, 2016. Goodreads Book GiveawayMy Pancakes Taste Different Today!